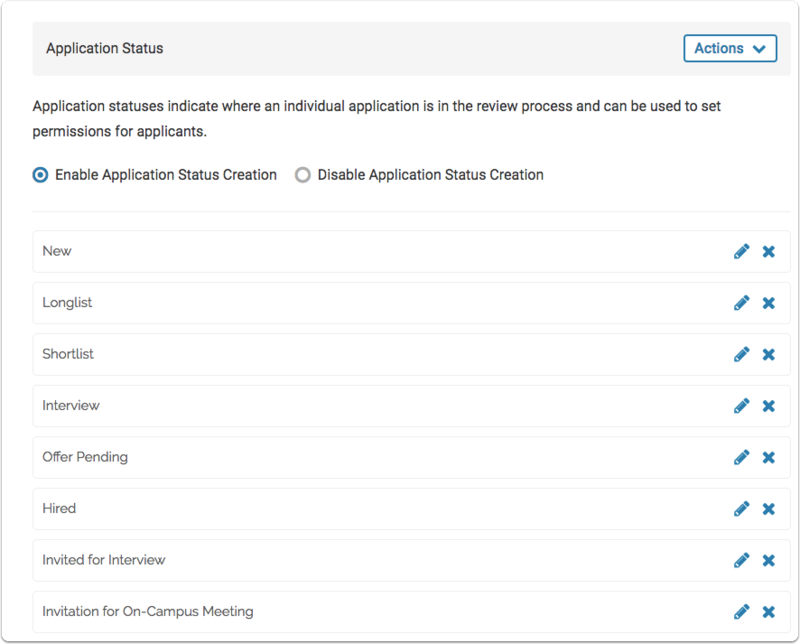 If permissions allow it, Committee Managers and Administrators can create application statuses (such as "Longlist," or "Shortlist," or "Removed From Consideration") that can be used to mark where an application is in the process of review. 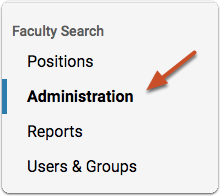 Application statuses are created on the "Administration" page of a unit in Faculty Search. 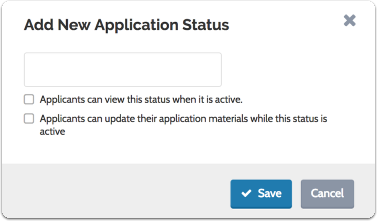 The individual statuses you create, or even the whole set of application statuses can be sent down to lower units. Note that the option to create statuses may appear as "locked" if an Administrator from a higher unit has disabled position status creation. 1. From your navigation bar, click "Administration"
The changes you make here will apply to the current administrative unit, but you can also disable the creation of application statuses for lower units, and send application statuses or the set of application statuses down to lower units. 3. 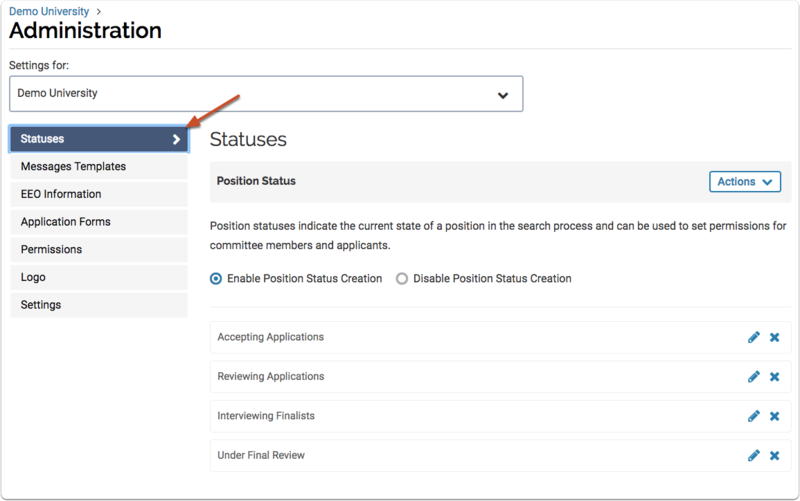 On the "Statuses" tab, scroll down to "Application Status"
If position status is disabled, you will see a notice that changes to position statuses have been locked by a higher unit, as shown below"
The "Actions" menu and the option to enable or disable application status creation will not appear if an Administrator of a higher adminstrative unit has disabled position status creation. 5. Select "Add new status"
When you send the new set of statuses to lower units, you will replace any statuses they have created. 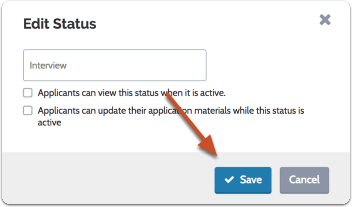 Click "Action" and select "Send statuses to lower units"
When disabled, units below cannot create, edit or delete statuses, but you can still create and edit statuses for the current unit. Edit the status and click to "Save"